Charleston, South Carolina. A town steeped in history. A port city founded in 1670 and known for its cobblestone streets, echoing with the sound of horse-drawn carriages that amble past antebellum houses. The elegant French Quarter, the Battery promenade, and Waterfront Park are all framed by the Cooper (pronounced cup-a) and Ashley Rivers as they spill into the Charleston Harbor, where Fort Sumter stands like a ghost of our past. It is the quintessential southern town; bustling with tourists, museums, restaurants, and charming architecture. Scratch beneath the surface, and the few areas of affluence that greet visitors are betrayed by the disproportionate amount of poverty that plagues not just The South, but the country as a whole. It’s a difficult issue that affects us all, but most heartbreakingly the children who are born and forced to grow up in impoverished families, homes, and neighborhoods. So many that are at-risk or suffering from abandonment, abuse, and/or neglect. Imagine as a child being removed from the only home you know, however unsafe, and being surrounded by strangers, however well-intentioned. These removals are necessary and justified, but that doesn’t make them any less terrifying for the child. This often must happen quickly for their safety, allowing only enough time for them to bring along the clothes they are wearing. No other connection to home. No other familiarity brought with them. No understanding. It’s shocking enough to read about. Again, imagine you’re a kid again and it’s happening to you. Lynn Young, the founder of Lowcountry Orphan Relief (LOR), heard this story far too often. After witnessing the tremendous needs of abused, neglected, or abandoned children in and around Charleston, and listening to their stories, she formulated a plan to help them reclaim their dignity and find encouragement. She talked her friends and colleagues into donating essentials for the these children: bags, clothing, school supplies, and toiletries. 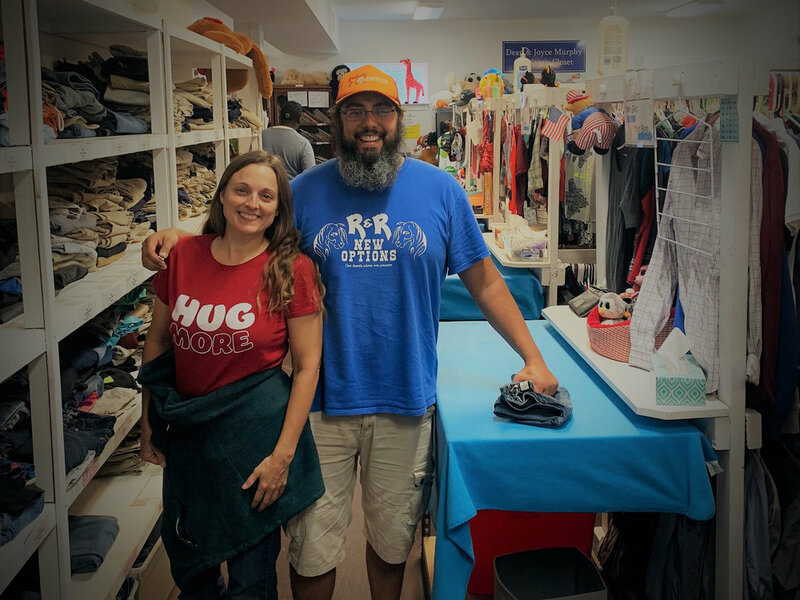 As time went on, the word spread, the donations increased, and what started in Lynn’s home grew to an organization that now includes a storage facility, warehouse, and staff offices located on an abandoned military base in North Charleston. They are currently able to service an area that includes the three counties around Charleston. Since 2006, LOR has helped over 25,000 children in the Tri-County area. The staff and volunteers are fueled by the belief that all children have intrinsic value and deserve to be nurtured, loved, and protected. We were lucky enough to join them in their efforts, if only for a day. The warehouse is neatly organized by size, gender, and age. Grabbing a pull sheet with each child’s needs, we filled bags with clothes, shoes, toiletries, and whatever basic needs were listed. Each bag would get caringly topped off with books and a plush toy. Small but important reminders for the kids that they are valued and loved. Hopefully, this will stick with them as they grow up and possibly become parents themselves. The dignity, encouragement, value, and care they receive might just be the seeds of hope that will help break the vicious cycle of poverty and neglect. We’ll all be better for it. Thousands of children each year are in desperate need of this kind of help in just this little southeast corner of the United States. Extend that out to include the entire nation, and the numbers are overwhelming. Think about the entire world and you’re likely to panic and cry. Yet, we must do something. It’s our moral obligation. At the risk of seeming like an anti-natalist, these kids didn’t ask for this. They had no say in their existence. Yet, here they are. We owe it to them to help; to care; to love. They have no choice, but we do. Donate funds to Low Country Orphan Relief here. Find a similar organization in your area. Donate clothes, books, toys, and other essentials to orphan relief organizations.